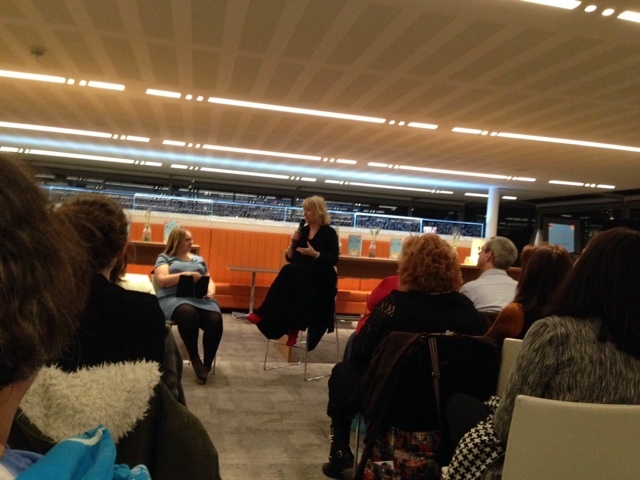 Last night (Thursday 28th January 2016) I attended my first ever event as a book blogger and I thought it would be nice to write a blog post about it to a) share with you and b) give me a lovely remind of the evening. 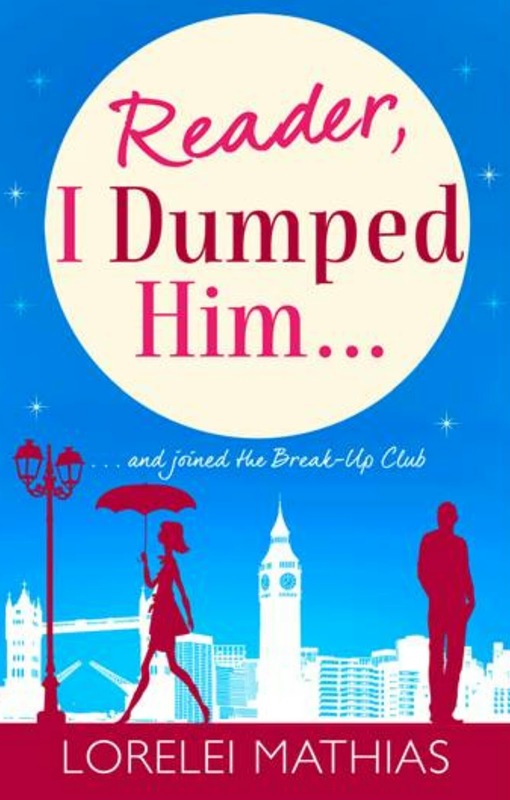 a happy ending, romantic comedy novel - Classic Jill. You and Me, Always is Jill's 27th published book (what an achievement eh?!) 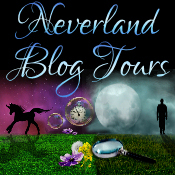 And I loved it - please read my review here. 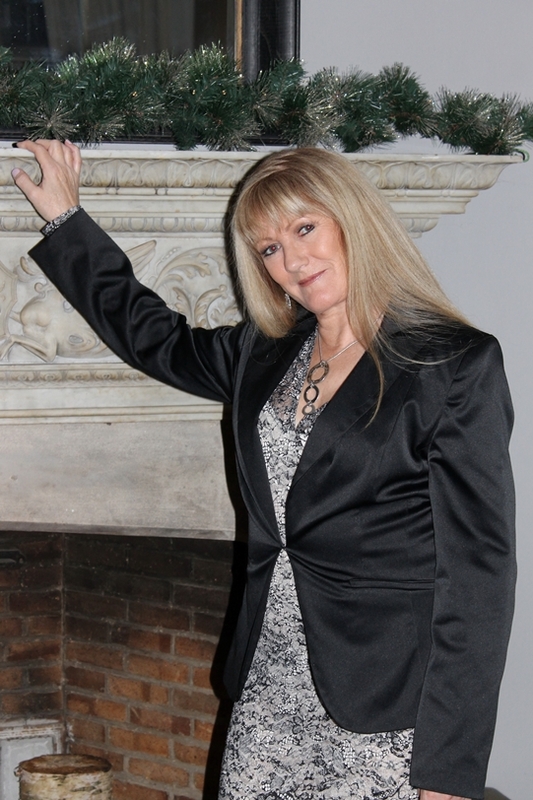 Me and You, Always on display. 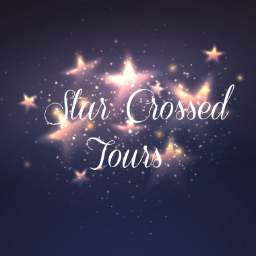 I've not been blogging for a year yet so I'm a complete newbie to book launches and events but when I saw that I was free to attend this one I couldn't resist. I dragged my two friends, Helen and Katrina with me - Kat to be fair didn't hesitate, she loves a Jill Mansell book! 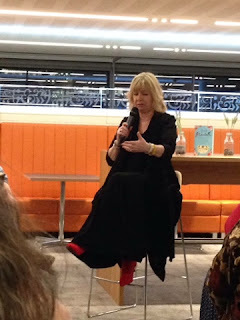 Having booked the tickets way before Christmas, the book launch felt like a lifetime coming and as the days got nearer my nerves kicked it - I'm fine at social circles once I'm there but the apprehension first....ugh! My day started with train cancellations but I eventually arrived in London and met up with the girls, after a late lunch and good natter we headed off to our hotel for a freshen up before our night at Carmelite House - home of Hachett UK. Waiting in the very plush reception I spotted a few blogger faces but we were quickly ushered up to the top floor where we were met with complimentary wine - yes thank you - and gorgeous blue looking gift bags on incredibly stylish chairs. 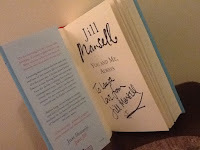 The next 45 minutes or so we were treated to a Q&A with Jill. 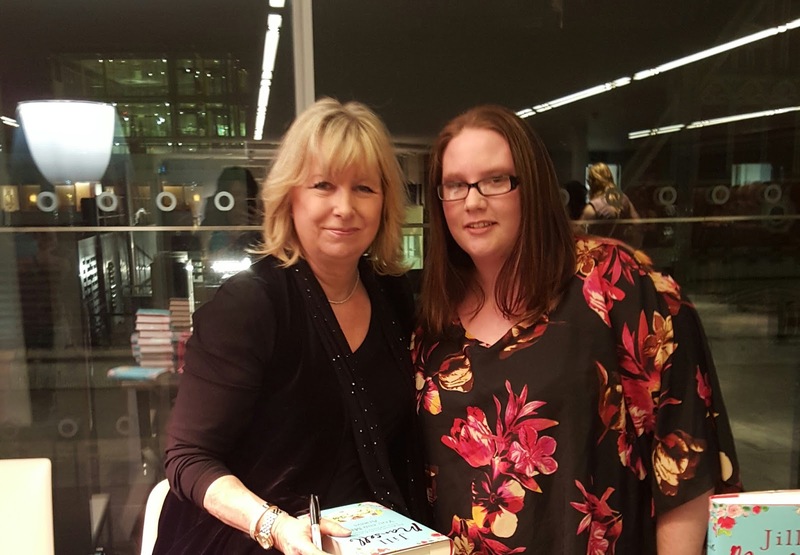 It was fab to hear her inspiration behind the book and her writing progress as well as the reassurance that she won't be writing a psychological thriller any time soon - that just wouldn't be right from Jill any way, would it? Showing off her new boots! Once the chatting was done there was time for a selfie with the Queen of chic lit herself and she also signed our books before we were left to mingle with prosecco and canapés! 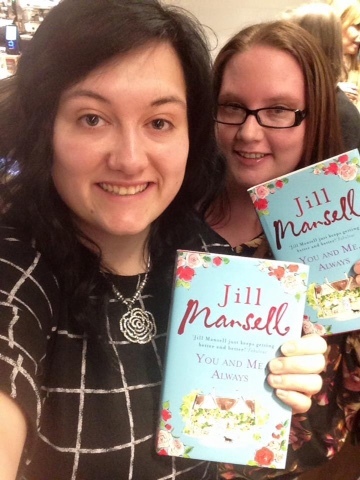 Kat and I with our copies! 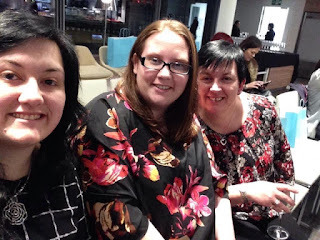 I'm not a great one for photos and selfies so there's a lack of these with fellow bloggers but it was lovely to meet several including Rachel, Sharon, Paris, Sophie, and the two Julie's! 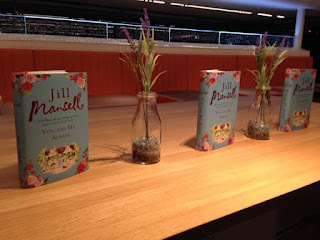 Now, I'd seen one or two authors tweet Jill about seeing her at the launch but it was clear when talking to my blogging friends that the author presence was way more than they had seen at other launches. 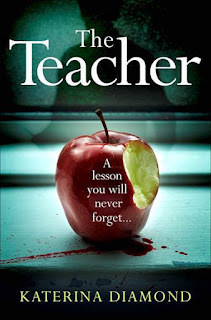 Authors including (and I'm sure I've missed some here!) Jojo Moyes, Jenny Colgan, Carole Matthews, Rowen Coleman, Julie Cohen, Bella Osborne, Miranda Dickenson, Lucy Robinson, Katie Fford, Cathy Bramley..(the list was pretty long to be fair) where all there and the ones I managed to speak with were a dream! For me, personally, it just goes to show well respected and how far up the author chain Jill Mansell is and how much love and admiration other authors have for her. 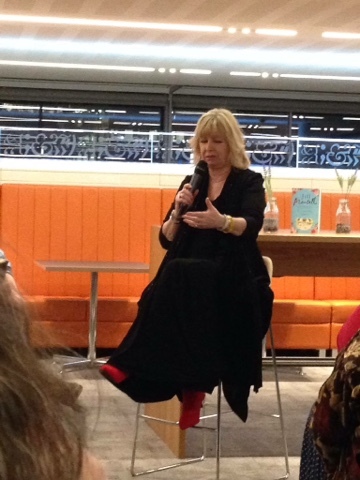 So thank you to Elizabeth Masters, Frances Gough and all at Headline for putting on the night - my expectations of other events are now extremely high! 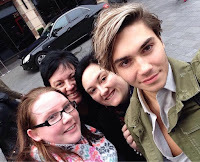 Friday morning, Helen, Kat and I headed off to Leicester Square where we were going to meet out other friend Nicole. Whilst waiting, Katrina with her beady eyes, spots some paparazzi and a few "fangirls". Wondering who they were trying to catch we decided to casually hang around like you do.... and who did we happen to bump in to? 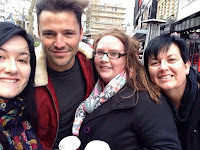 Only Mark Wright and George Shelley - excuse the wind swept photos! 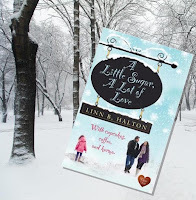 Another day and another fabulous cover reveal from that lovely lot over at Avon! This cover has gorgeous colours and a real catchy title - I'm looking forward to reading this one! 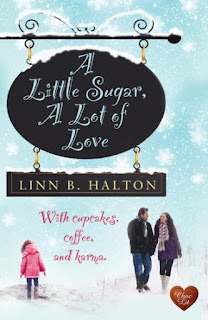 Today I'm helping Brook Cottage Books kick off the blog tour for Linn B Halton's book, A Little Sugar, A Lot Of Love. This was previously released under an alternative name but has been gorgeously re-vamped! 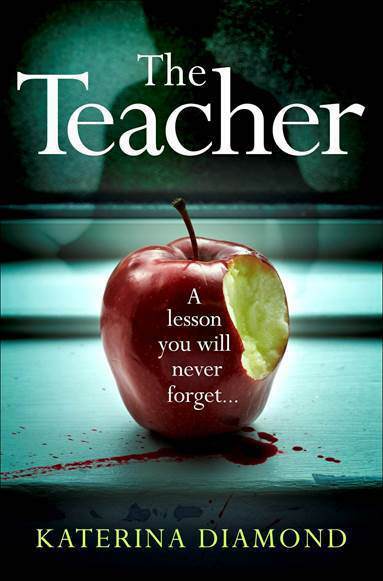 Today I have an exciting cover reveal for you for what looks like another gripping read from the Avon team.